Decrease your organizations operational costs, while increasing communications performance with point to point solutions from Core Cabling. When you are dealing with two or more buildings or locations that need a shared network, wireless point-to-point LAN extensions are the flexible, cost-effective, and secure option. Wireless backhaul solutions allow you to unify your phone system and other communication tools, across multiple locations. For your business, satellite offices, expansions, college or university campuses, Point-to-Point wireless allows you to connect your sites with significant cost savings over leased landlines. 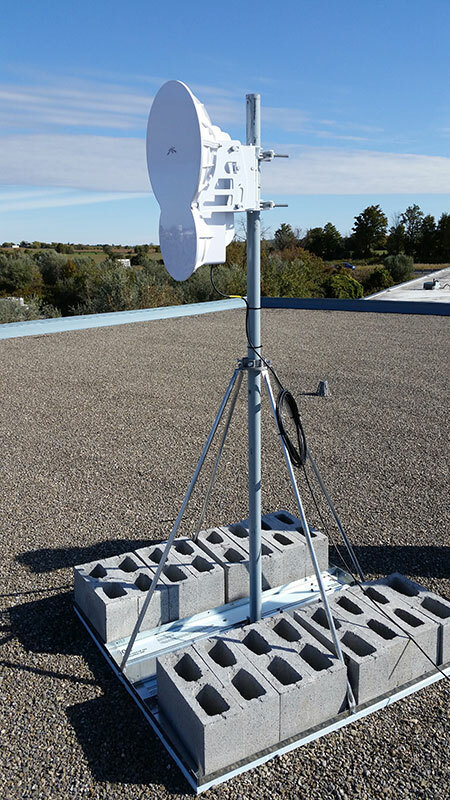 CORE’s Wireless Point-to-Point LAN Extension solutions move data from point to point, through rural or urban areas, with or without the means of cable infrastructure. We serve government, healthcare, education, organizations in the public and private sectors, ISPs, and WISPs by knowing their environment and applying our experience, expertise, engineering, and implementation methodology. All with a vendor-agnostic product line. The result is increased productivity and decreased expenses, improving your bottom line and making your business stronger. Wireless Point-to-Point Solutions from CORE Cabling are successful for our clients because we provide a unique blend of reliability, stability, and security. We partner closely with leading manufacturers to deliver wireless solutions, offering licensed and unlicensed product lines and providing solutions from 100 Mbps to 2 Gbps, with full duplex and low latency. We deliver seamless wireless connectivity and unmatched performance and reliability.